While Brett Kavanaugh enjoys his new perch atop the Supreme Court with a lifetime appointment, Dr. Christine Blasey Ford, a woman he allegedly assaulted and who dared to tell her story to the Senate Judiciary Committee out of her sense of civic duty, continues to receive death threats. 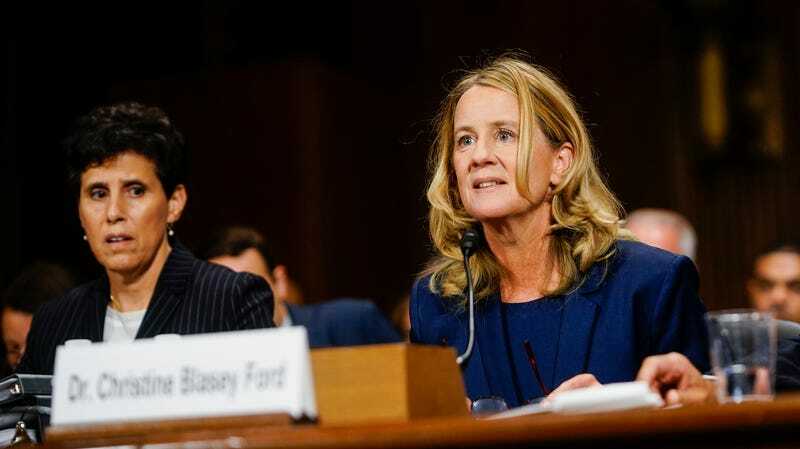 NPR reports that Ford’s life has been completely upended: she hasn’t been able to return to her position as a professor at Palo Alto University; she has to pay for a private security detail; and she’s also had to move “four times,” according to a note she wrote on her GoFundMe page. The page has generated $635,561, well beyond its goal of $150,000, which pay for the costs of “security, housing, transportation and other related expenses,” Ford wrote on the page. Since the hearings, Kavanaugh has become one of the most powerful men in the country, while Blasey Ford tries to pick up the pieces.